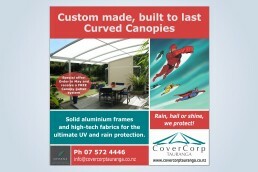 CoverCorp are in the business of protecting us from the elements, with high quality and stylish shade solutions — come rain, hail or shine. 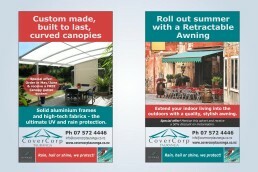 Over a number of years’, we have assisted them with advertising and print. 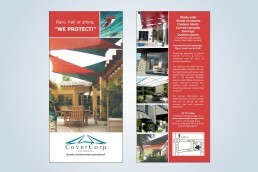 While the company’s products speak for themselves, we felt a little something was needed to help boost their brand. 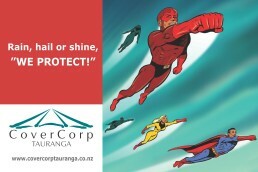 We introduced a colourful superhero theme to help attract attention and reinforce the message that these guys PROTECT!